This set of nails were done for a customer back in October. I know I'm super behind in posting my work but after lots of requests, this is the set I picked to post :) This customer was the sweetest lady ever and she has the cutest personality. She's happy and lots of fun to chat with. She wanted something playful and different from the nail salons she's been to. 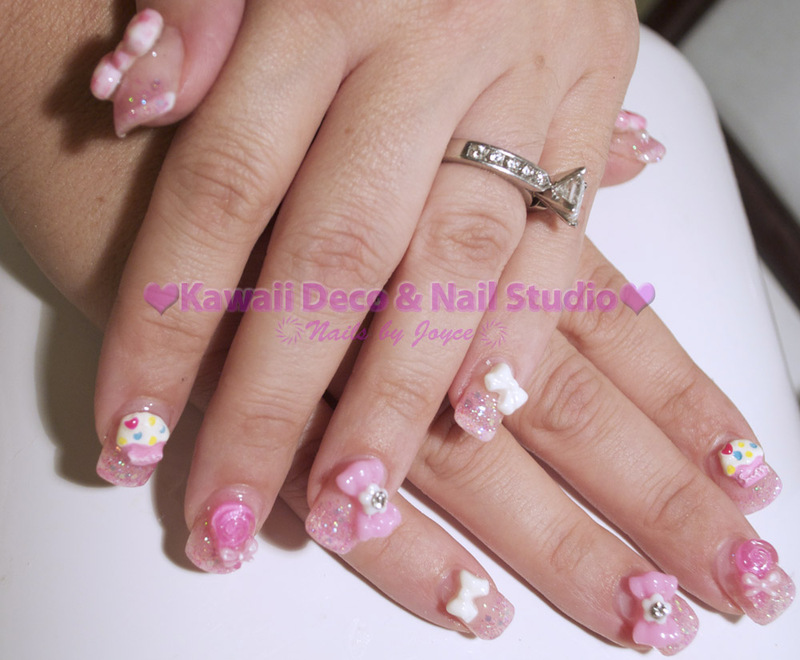 She saw some of my previous work on kawaii 3D ribbons and she wanted them all on her fingers!